Unfortunately the LP version DOES NOT have the skits, which IMHO glues the whole thing together. It's supposed to be JJ taking a road trip to pick up his son in a rental car that only has a radio. Along the way, he "tunes in" to find the tracks on the album, and while traveling gets into certain scenarios that put his fame, or lack thereof, on the table. The best is the phone call to Will Smith's office where nobody there seems to know who he is or why he is calling. After finally getting through to Will, he asks him if anybody ever asks him "Where Jazzy Jeff at?" The ensuing conversation is funny and heartbreaking at the same time. It's really a bummer they did not include those on the LP. VERY disappointed with this. 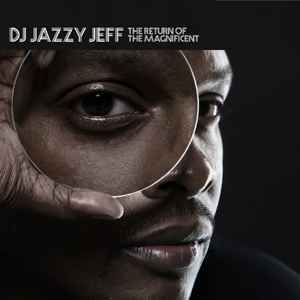 Jazzy Jeff can do much better!